Mr. Pakter, Managing Member of Gould & Pakter Associates LLC, provides consulting and litigation support services to trial lawyers, trustees, receivers, their clients, business owners and managers and state and local government. He focuses on financial analysis, forensic accounting, economic damages determination, valuation issues and financial investigations. He has experience in financial forensics, determining lost profits, business interruption losses, earn-outs, analyzing financial transactions and balances, fair value issues and reconstruction of falsified and/or incomplete financial information. - Provides financial forensics, commercial litigation services, internal investigations and financial analysis of disputes. - Calculates lost profits, economic damages, business interruption claims and earn-outs. - Values closely held businesses for shareholder litigation, family law services, estate and gift tax compliance and bankruptcy and business litigation. - Traces undisclosed assets, analyzes financial transactions/balances, determines sources of funds used to acquire assets and reconstructs falsified/incomplete financial information. - Maintains membership in the Forensic and Valuation Services Section of the American Institute of Certified Public Accountants. - Affiliated with Friedman & Huey Associates LLP, a full service CPA firm providing tax, accounting and business consulting, compliance, planning and advice. Gould & Pakter Associates, LLC provides expert testimony and litigation support services for both plaintiff and defense. Mr. Pakter has more than 40 years of experience in accounting, financial analysis, financial forensics and investigations, including more than 20 years of experience in economic damages and business valuation issues. Mr. Pakter is a Certified Public Accountant, licensed in the State of Illinois. The AICPA has recognized him as additionally Certified in Financial Forensics and Management Accounting. He earned the National Association of Certified Valuation Analysts Certified Valuation Analyst designation and Master Analysts in Financial Forensics having completed its business valuation and business and intellectual property damages specialty programs, respectively. Courts and arbitral bodies have recognized Mr. Pakter as an expert in accounting, business valuation, financial analysis, economic damages and business economics. All States as well as Federal, State and Local Governments. Mr. Pakter has more than forty years experience in financial analysis, financial forensics, accounting and internal investigations in diverse engagements and numerous industries. 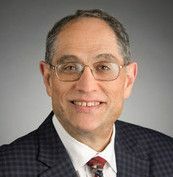 He has participated in public hearings and alternative dispute resolutions, submitted expert reports in several jurisdictions and testified in arbitrations, regulatory proceedings and State, Federal and Bankruptcy Courts. Mr. Pakter has been recognized by courts and arbitral bodies as an expert in financial analysis.